If you were to survey articles that focus on the human rights situation in Laos, you’ll be hard pressed to find one that does not reference the “disappearance” of Sombath Somphone, an internationally acclaimed civil society leader who was kidnapped from the streets of Vientiane in late 2012. Leaked CCTV footage shows him being stopped by the police before being taken to a police outpost nearby. Then, a jeep pulls up and two men kidnap him, and someone else drives his car away. He hasn’t been seen since. The ruling Communist Party claims it launched an investigation, but has released few convincing details about its progress. The government has also refused to admit any responsibility. Based on the evidence we have so far, few serious observers would deny that the most likely scenario is that Sombath was abducted, rather than simply disappearing, despite the fact that the latter continues to be the characterization used. Beyond this case, however, the broader human rights situation in Laos seems to be getting bleaker. One area in which this is evident is the Party’s effort to destroy the country’s civil society organizations (CSOs). 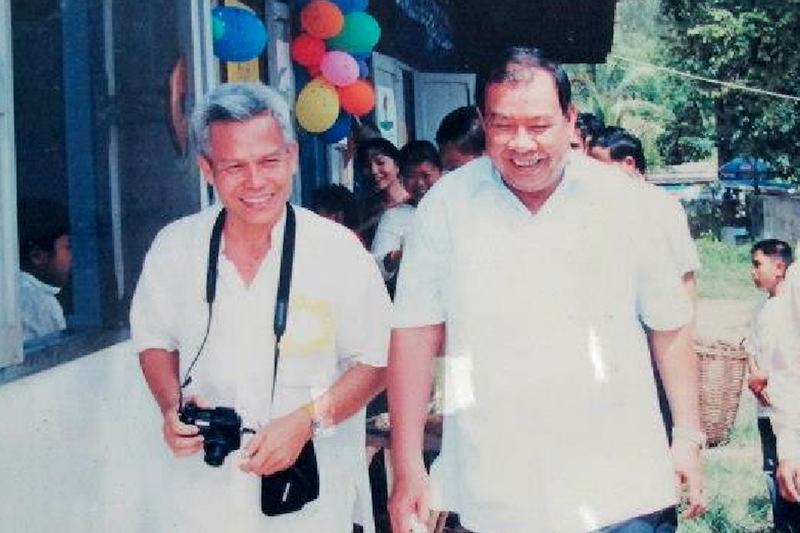 Laos’ CSOs were already under threat after Sombath’s disappearance, an event that had a clichéd “chilling effect” on those who beforehand had been busy trying to forge a robust civil-society. In the past, CSOs would only have to provide the Party with mere summaries of their activities and funding. Now, if they want to get funding this will have to be approved by the Party, as will their detailed plans. In short, not only will this bog down funding in the Lao bureaucracy, it will likely deter some donors, particularly foreign donors, from providing money to the local CSOs. One article of the new decree even restricts CSOs from “abusing the rights to freedom.” Meanwhile, all these restrictions will be monitored by the Ministry of Home Affairs, currently run by Khamman Sounvileuth. If the Ministry thinks a CSO has broken any of these rules, it can be “disciplined.” Exactly how remains uncertain, though the likely result will be its closure. Indeed, the new decree even makes it the “duty” of CSOs to follow Party policy. It is clear that the Party has long viewed these CSOs as a threat. Former State President and Party General Secretary Choummaly Sayasone typified the Party response when, in 2013, he told ministers to repress the organizations as “they could destroy our country through nonviolent means.” This comment can only be read as an admission the Party considers civil society a threat: indeed, a threat that could conceivably toppled the Communists after decades in power. Radio Free Asia, paraphrasing a local CSO representative, put it that the decree will have the effect of “regulating the groups out of existence.” There is no doubt this is the Party’s intention, though it is far from the first to have contemplated such moves. Neighboring Cambodia has perfected the art of justifying repression through claims of bureaucratic progress. Developing the taxation system was the line spun for the Cambodia Daily’s demise last year, for example. Indeed, it is now difficult to find one authoritarian nation that is not using legal and bureaucratic reforms to repress nonstate voices. But while Cambodia’s latest crackdown has generated the necessary opprobrium from the international community, events in Laos have fallen on deaf ears, relatively speaking. Though there are occasionally issued public statements by Western governments, the gradually declining interest in Sombath Somphone’s case over the years is also evident, which is unfortunate since this is the very attention required to hold Laos’ feet to the fire. This is a sad reality that some Lao activists I have spoken to also acknowledge, and it is perhaps something that the government also understands. The unfortunate truth that follows from this, then, is that the Party’s latest attack on civil society will pass by largely unnoticed by most of the world and may even succeed.